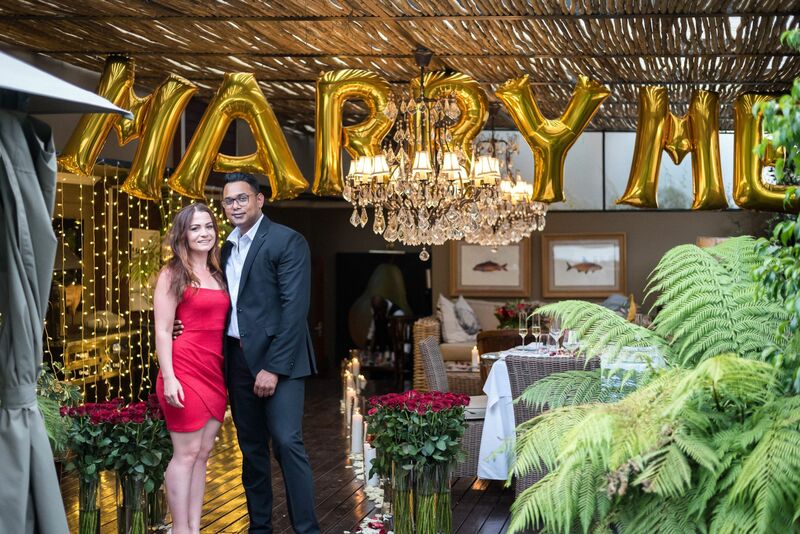 On the 17th November 2018, Jehron and Carla got engaged! 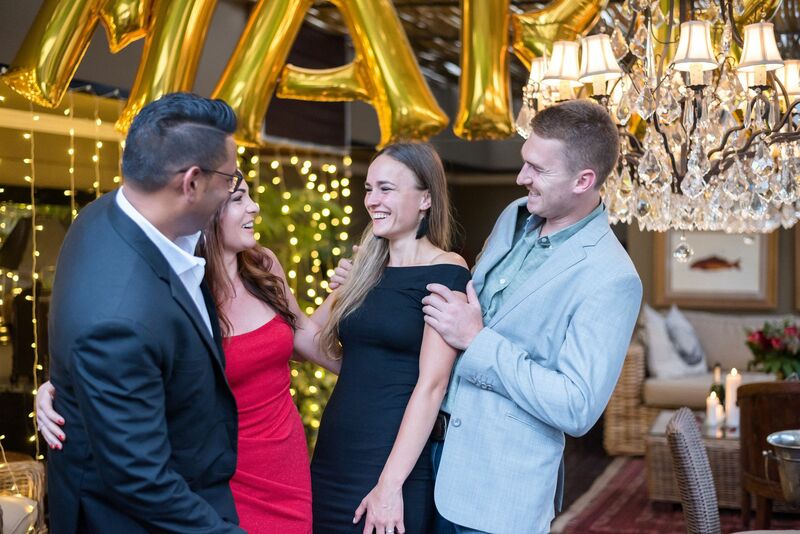 We loved doing this proposal! Jehron and Carla live in Port Elizabeth and were coming up to Johannesburg with their best friends from Cape Town, Zahn-Mari and Aldré. 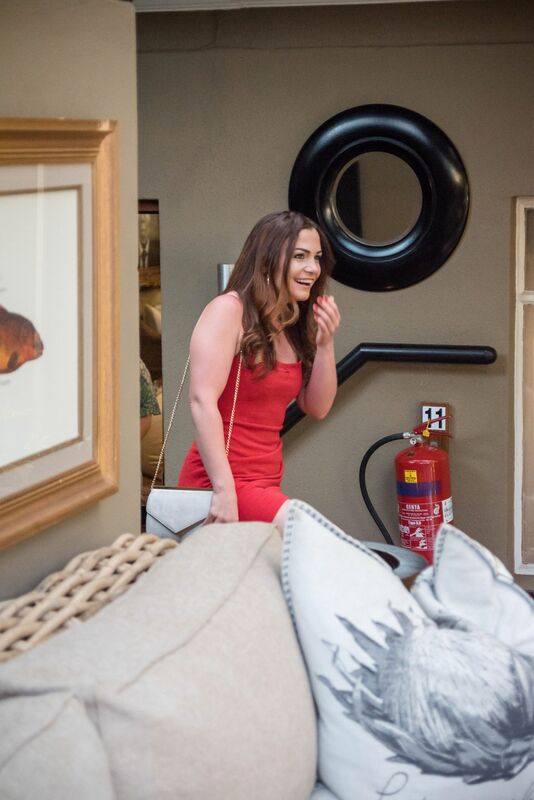 They were so excited for their weekend as it was also Carla’s birthday so we could organise lovely things for them to do and Carla would have been none-the-wiser that it would end with a proposal! We organised Zip-lining for them in the morning out in Hartebeespoort and then they had couple massages at the Saxon Hotel and Spa. After their massages, Jehron told Carla she was having her hair blow-dried for her birthday dinner that night and that he would meet her in the spa reception afterwards. Zahn-Mari was with Carla while she was pampered and when she went to meet Jehron in reception, she was instead handed a note and a box filled with over 60 photos of their time together. The note also told her that there was a Rolls Royce waiting for her and Zahn-Mari downstairs to take them to dinner. 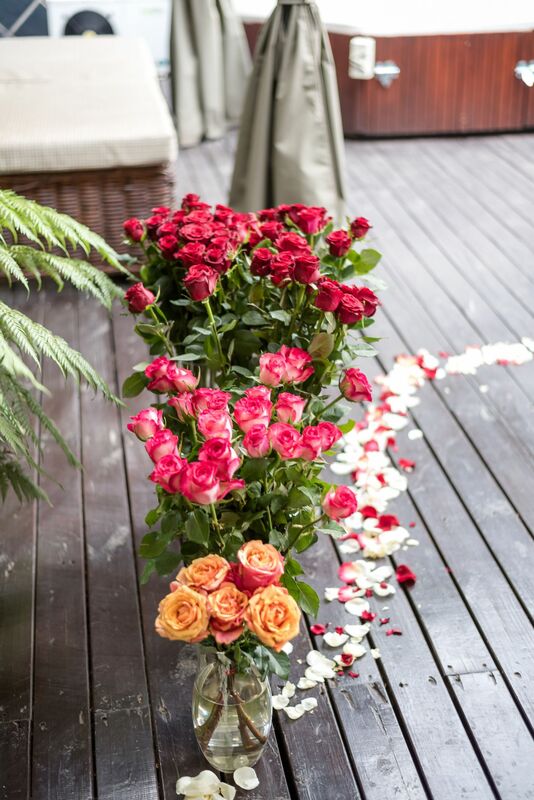 Meanwhile, Jehron and Aldré had arrived at The Residence Boutique Hotel in Houghton where we had set up the deck of the Madiba Suite with over 140 roses, candles, balloons, fairy lights and a gin bar! It looked amazing! 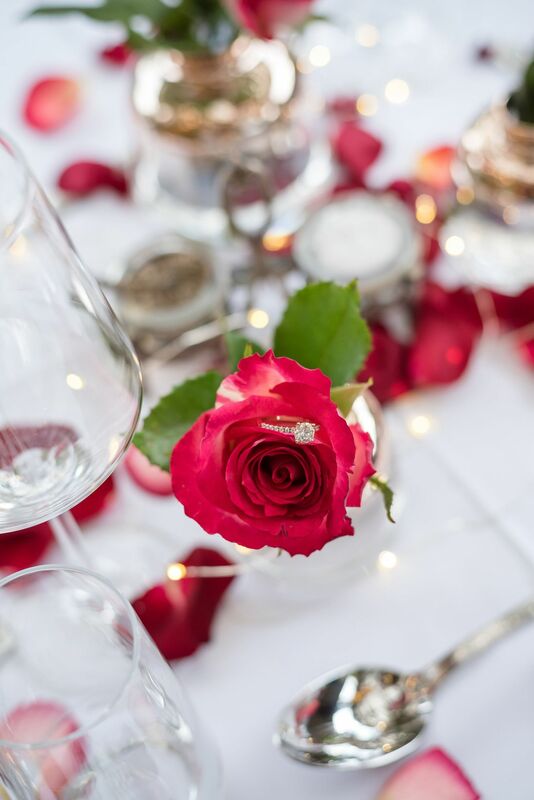 There was a pathway of rose petals and candles leading Carla straight to Jehron. 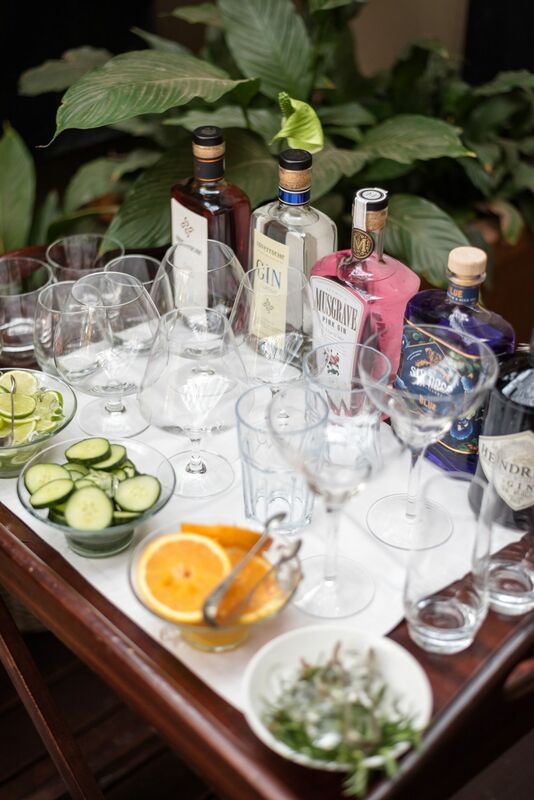 Jehron and Aldré even had a delicious gin to try help the nerves while they were waiting. Moments later, Zahn-Mari and Carla arrived in style in the Rolls Royce and they made their way up to the Madiba Suite. Carla was so surprised to see the setup and Jehron on one knee. 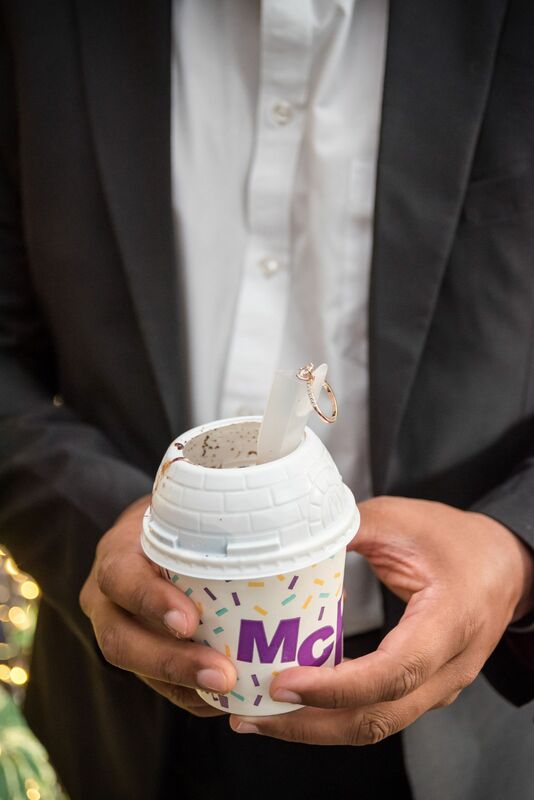 The couple has always had a love for Oreo McFlurrys and so Jehron was holding one with the gorgeous ring hanging on the end of the straw! Their friends then joined the couple to celebrate! 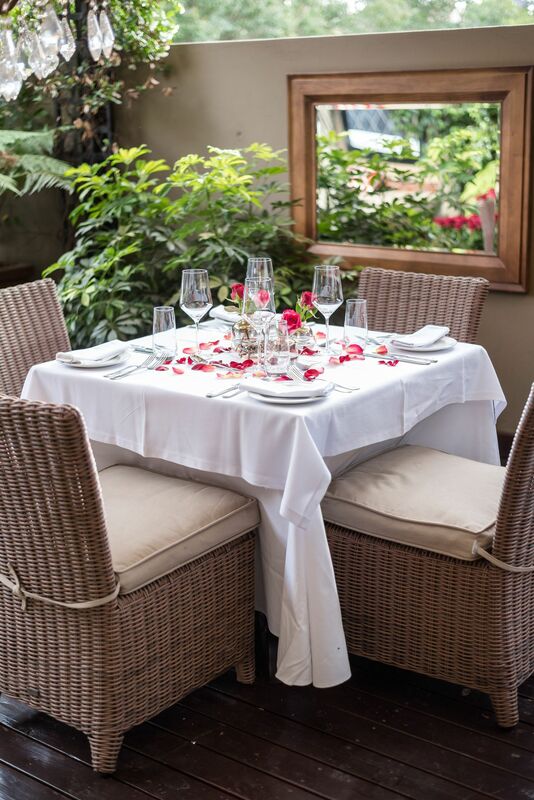 They had a lovely dinner on their private terrace under the stars before they went out to meet up with Carla’s family who Jehron had flown up for an extra surprise! 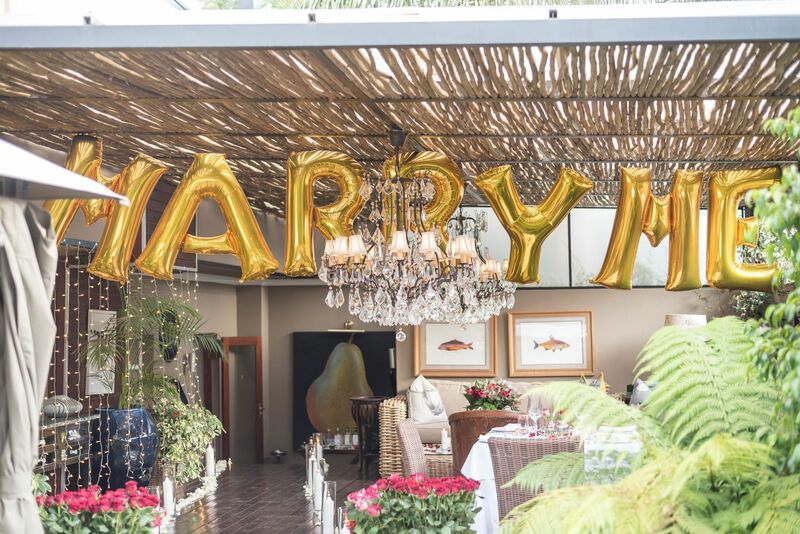 Jehron and Carla’s Magical Johannesburg Proposal was so special to set-up. Jehron and Carla, you guys make a fantastic team! It was our pleasure to work with you! Congrats on your engagement! 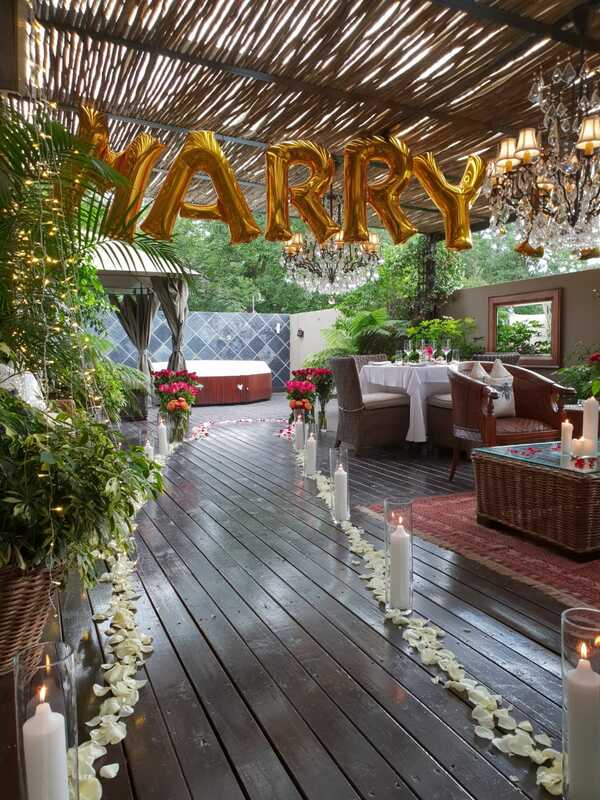 Looking to pop the question in Johannesburg, contact our expert planners for ideas and quotes.